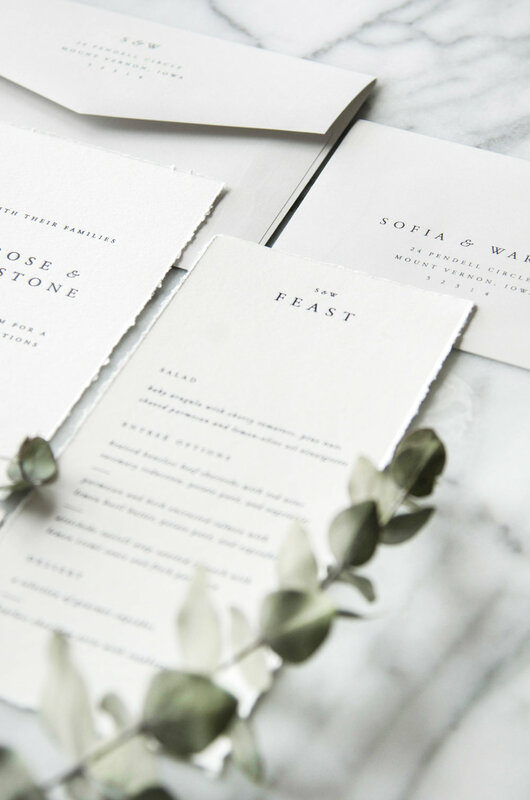 This timeless suite stole our hearts with its letterpress impressions and delicate use of typography. Sometimes we like to take the simple route and let the paper shine through, and our Sofia suite did just that! Foggy grey envelopes paired with soft ivory and deckled paper gives our sweet Sofia a touch of vintage elegance. 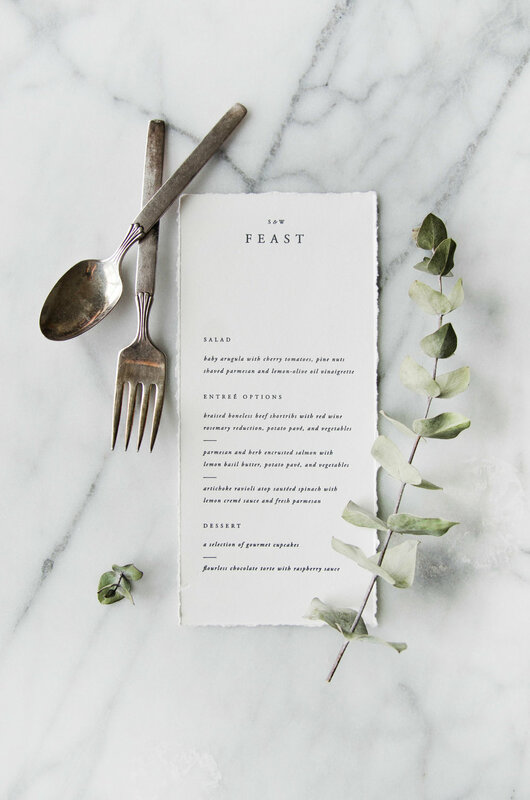 Stay tuned for more images of this suite (taken by Ivory + Bliss) to be featured in Smitten Magazine for their Issue 17, Intrinsic Issue, coming out in August!